Juneberry Lane: Sending the Love Superhero Style . . .
That's it, this is the week! 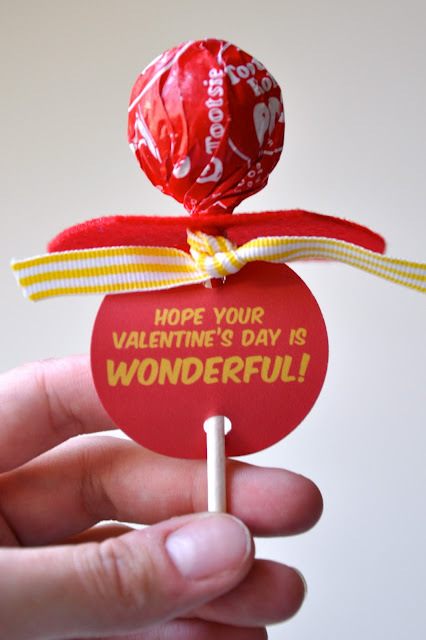 The Valentine's Day parties are fast approaching and in case you wanted your sweet little one to hand out something SUPER special this year, I thought I would bring this amazing & creative Valentine Card idea along with some amazing & FREE printables from Little Bit Funky your way! Just check these out . . . 1.) Start by punching out your superhero circles. Emblems are for the capes and the messages are for the lolly sticks. 2.) Use your cardboard template to cut out your pattern onto the felt. 3.) 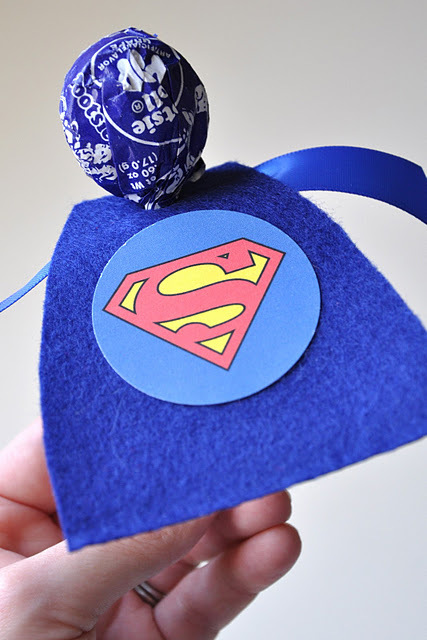 Punch out the Superhero emblems with your 2 inch craft circle punch and glue them onto the felt capes. 4.) With your hole punch, punch a hole in the top center of each cape. 5.) 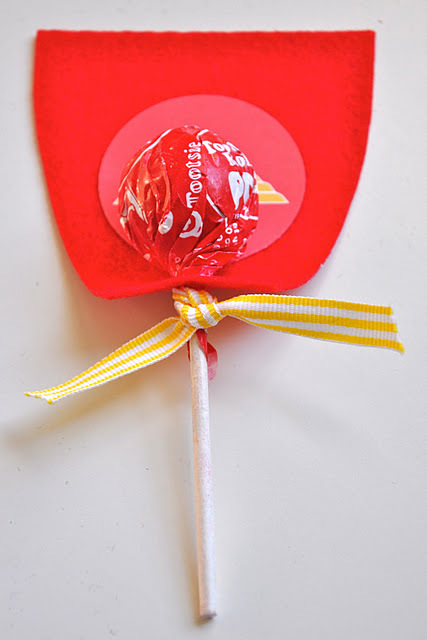 Slide the lollypop through the hole and tie a coordinating ribbon on below. It helps to twist the pop in like a screw almost. 6.) Punch a hole in the top and bottom of each message printable circle and slide onto the stick. 7.) And that's it...you are all set!!! Aren't they just amazing? 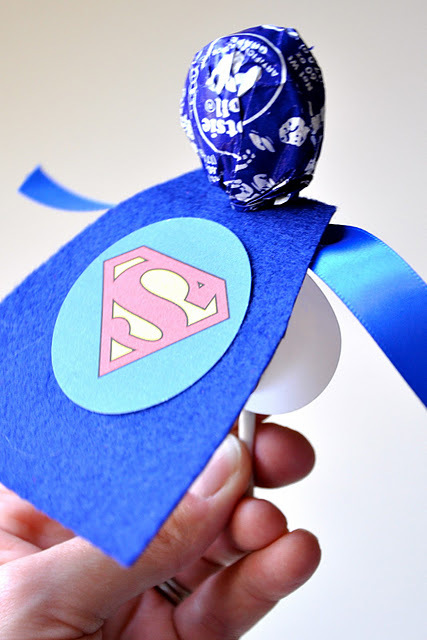 Don't forget to get your free Superhero printable HERE! You really can't get more super of a Valentine's card than that! !